Bobby Campbell's illustration for his @RAWilson23 Twitter account. At Maybe Logic, Bobby Campbell notes a milestone for his @RAWilson23 Twitter account: He now has more than 3,000 followers. 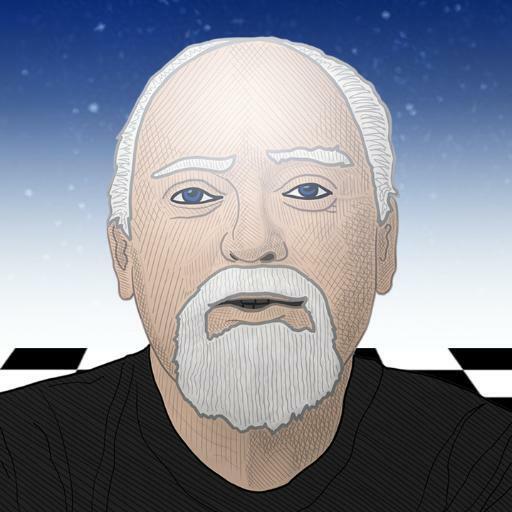 That's a lot of followers for a Twitter account devoted to a cult author who died more than nine years, and it's a testament to Bobby's hard work, as well as the persistent following Robert Anton Wilson managed to keep. If you're on Twitter, note that he lists some other accounts worth following. I appreciate Bobby's kind words about this blog (which probably give me too much credit). I reached a milestone recently — more than one million pageviews since my blog launched. Thanks for the link up, Tom! And I wouldn't expect you to view yourself this way, but from my POV, the consistency and professionalism you've brought to the RAW community has served as the foundation for infinite flying pastabilities! Best wishes for millions & millions more sparks of RAW illumination! Amen, Bobby. Tom, you have really enriched the RAW community.